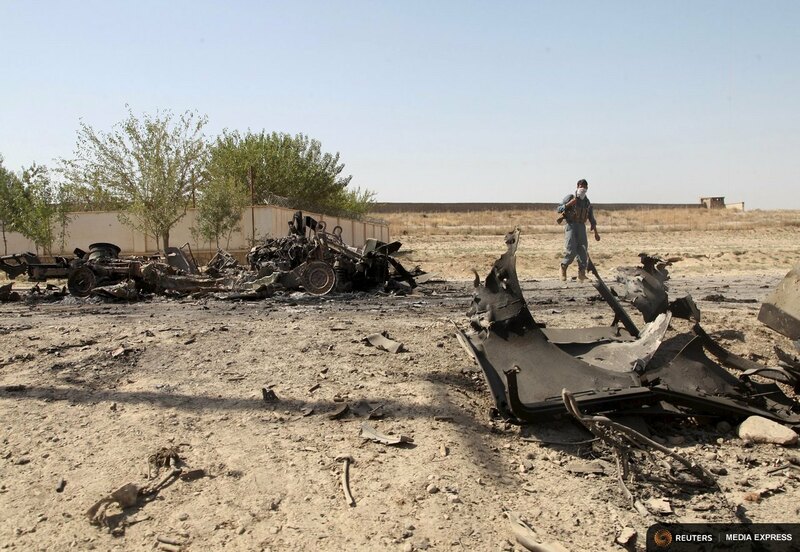 KABUL (Reuters) – An air strike, probably carried out by U.S.-led coalition forces, killed 19 staff and patients, including three children on Saturday, in a hospital run by Medecins Sans Frontieres (MSF) in the northern city of Kunduz, the aid group said. 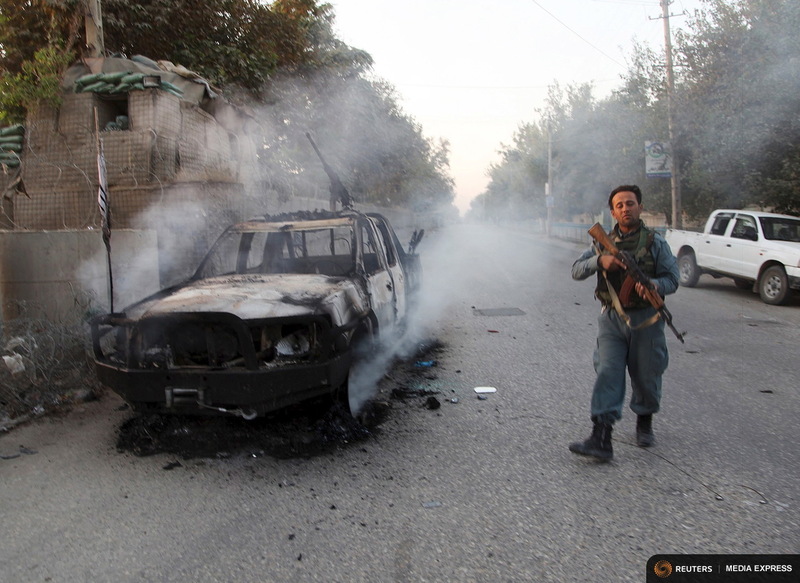 The U.S. military said it conducted an air strike “in the vicinity” of the hospital as it targeted Taliban insurgents who were directly firing on U.S. military personnel and an investigation into the incident had begun. U.N. Human Rights chief Zeid Ra’ad Al Hussein led a chorus of condemnation, without saying who carried out the strike, noting that an assault on a hospital could amount to a war crime. “This event is utterly tragic, inexcusable, and possibly even criminal,” he said. “All indications currently point to the bombing being carried out by international Coalition forces,” MSF said, demanding “a full and transparent account”. At the charred remains of aid group’s facility, one wall of a building had collapsed, scattering fragments of glass and wooden door frames, and three rooms were still ablaze, Saad Mukhtar, director of public health in Kunduz, said. 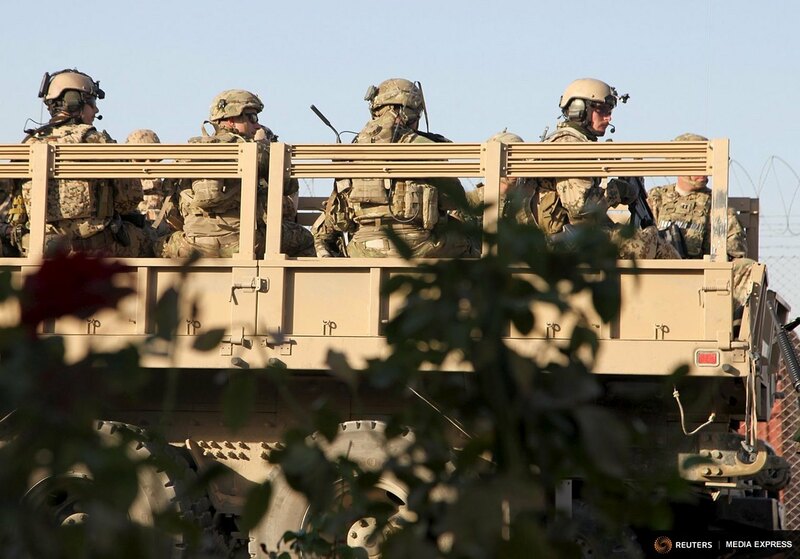 Earlier, a U.S. official, speaking on condition of anonymity, said a U.S. military AC-130 gunship had been operating in the area, firing at Taliban targets to provide what was essentially defensive, close-air support to ground forces. Afghan President Ashraf Ghani’s spokesman said last week there would be no air strikes inside the city because of the risk of mass civilian casualties. Ghani’s predecessor, Hamid Karzai, fell out with his backers in Washington in part over the number of civilians killed by bombs in the nearly 14-year-old war, America’s longest military conflict. 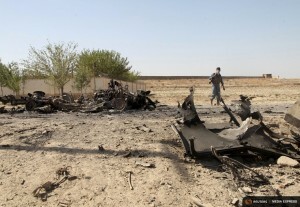 The International Committee of the Red Cross said it was “deeply shocked” by the incident. KABUL (Reuters) – When the bombing started at 2:08 a.m. on Saturday morning at the Medecins Sans Frontieres compound in the Afghan city of Kunduz, the hospital staff was doing what they have been doing there for years: saving lives. Earlier, a large group of passengers injured in a road accident had arrived at the compound’s wide gates, according to Abdul Rauf, a logistics specialist who was on duty at the hospital. Doctors were treating the patients late into the night when the hospital’s main building came under bombardment, Rauf said, waking him and his colleagues who had been sleeping in a basement area. “When I came outside, I saw bodies burned,” Rauf said. At least 19 staff and patients, including three children being treated, were killed and 37 people wounded when an air strike hit the hospital run by the medical charity, in what U.N. human rights chief Zeid Ra’ad Al Hussein said on Saturday may amount to a war crime. It had been six days since Taliban insurgents stormed the provincial capital in the biggest victory of their nearly 14-year insurgency. 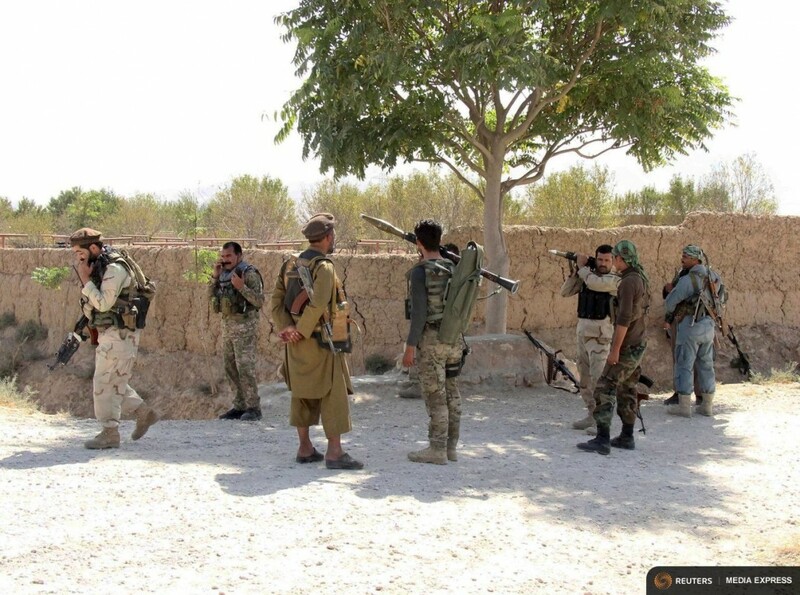 Despite the government claiming to have regained control of the city, fighting has continued to rage around the city, as government forces backed by American air power seek to drive out Taliban militants. MSF has said that “all indications” point to U.S.-led coalition forces having carried out the bombing. The U.S. military, which said it launched an air strike around the time the hospital was hit, said it was investigating the incident, and acknowledged the possibility that a nearby medical facility may have been “collateral damage” in the days-long battle. 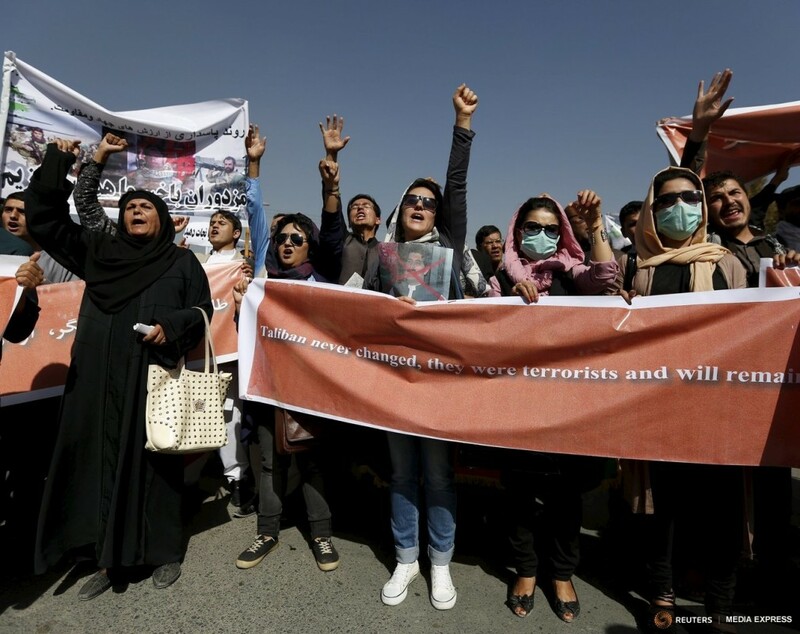 It only took minutes for staff in the hospital to place frantic calls to NATO officials in Kabul that the compound had come under aerial bombardment, an MSF official told Reuters. But it took nearly an hour for the bombs to stop coming, leaving an orange glow of fire emanating from the burning wards’ windows in their wake. As the bombs rained down in about 15-minute intervals on the main hospital building, where the intensive care unit and emergency rooms were located, people who could fled the hospital grounds, or moved into the hospitals two large bunkers. “Patients who were unable to escape burned to death as they lay in their beds,” Nagarathnam said. In the parts of the building that were left standing, doctors scrambled to treat wounded colleagues and patients, setting up a makeshift operating theatre. In an MSF photo, a man stood on a table over a group of doctors in scrubs, holding an IV drip in place that had been hung from a ceiling fan in a small, white room. The hospital had already been improvising for days, finding room in offices and busy corridors for the nearly 400 patients that have poured in from the battle raging since Monday. The battle for Kunduz has special significance for people on both sides: it was the Taliban’s last stronghold before the U.S.-backed Northern Alliance drove them out in 2001. 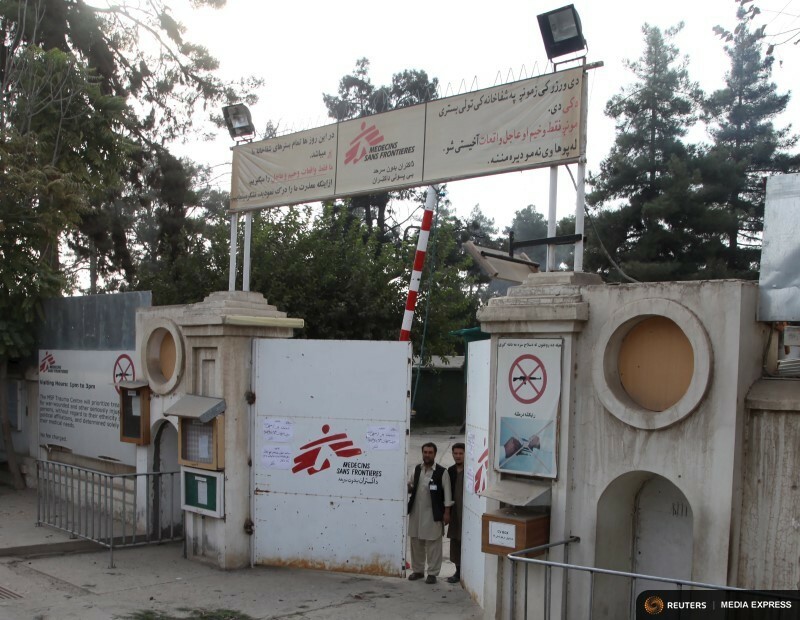 As the Taliban has made repeated attempts to take over swathes of the province throughout the year, the MSF hospital, which opened four years ago, has been treating an increasing number of civilians caught in the middle of the long-simmering war. With its strict policy of impartiality and no-guns, the facility has operated with remarkable freedom in moments of high tension, its doctors and nurses left to do their work by Afghan security forces and militants despite the fact that fighters from both sides were treated inside. Medical staff living in the group’s guesthouse in the city regularly roused themselves from sleep during the night to rush to the compound to perform emergency surgeries, cleaning out gunshot wounds and bomb-blast injuries in patients who had driven hours along dusty roads in the night to get there. When Reuters visited the hospital in June, a mortar round landed one hot morning the middle of a nearby meeting of Afghan security forces, and more than a dozen men were driven to the MSF emergency room in a rush. The quiet ward was suddenly filled with gurneys jockeying for space while men in fatigues, some with their boots still on, lay with blood trickling down their temples. The tang of iron hung in the air as staff mopped up blood on the white tiles, leaving arcs of red behind. Doctors stood over a young man whose head was swaddled in white bandages, his thin chest moving up and down in halting movements. A prescient 18-year-old woman who worked in an office in the hospital watched the scene stoically. There had been a lull in the fighting lately, but she had warned earlier, it wouldn’t last. Facts and Opinions is a boutique journal, of reporting and analysis in words and images, without borders. Independent, non-partisan and employee-owned, F&O is funded by you, our readers. We do not carry advertising or “branded content,” or solicit donations from foundations or causes. If you appreciate our work please support us with a contribution, below, of at least .27 per story — or a site pass for $1 per day or $20 per year. And do spread the word.